Looking for itinerary to Iloilo, Guimaras, Antique and Bacolod? These provinces in the Vizayas are geographically near each other. You can literally tick these off on your bucket list in just one trip. 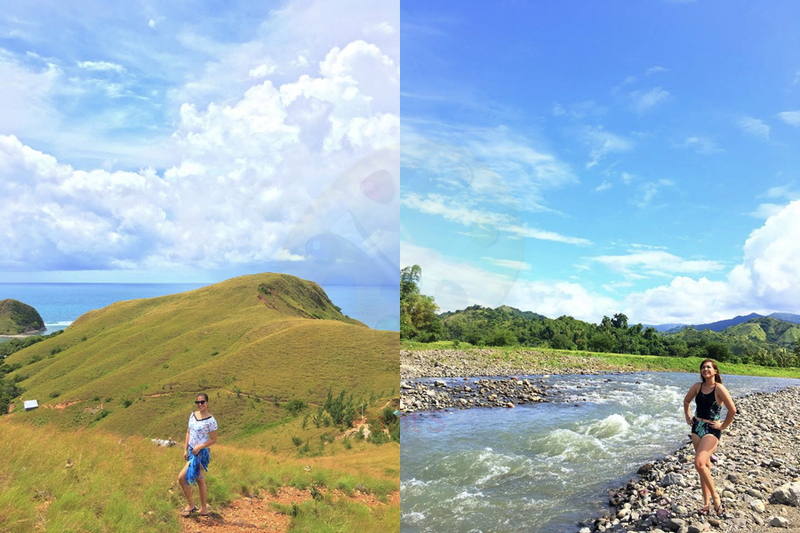 Camille Bean Mendoza-Vergara would like to share her Vizayas travel to us to prove that this is totally possible! Camille traveled with 2 young adults, 1 kid and 1 oldie. This trip isn't so hard for them since one of her buddies on this trip calls Iloilo her hometown. She said she spent roughly Php 10, 000 for the food, accommodation and transportation during the trip. This city in Panay island was one of my destinations when I did a solo backpacking trip four years ago. My memories have dwindled but what I can't forget about Iloilo is its old houses and very great tasting local food. However, the weather unfortunately is not good for Camille's trip. She and her buddies were only able to visit SM Iloilo. This is not part of her itinerary but below are suggestions of what to do in Iloilo in case you have more time and there's no heavy rain going on. Iloilo City Heritage Tour. This is a must when visiting the province of Iloilo if you want to know its culture and urbanity. You will get to see Iloilo's famous tourist spots: Museo Iloilo, Calle Real, Plaza Libertad, Fort San Pedro, Jaro and Molo. You can also shop for souvenirs aka pasalubong at Tinukib Showroom. Most recommended is visiting Jaro's old colonial houses and churches. Also, you can drop by at the gothic-renaissance church of Molo. If you want to know a bit of hand embroidery, check Asilo de Molo. Guimaras Island is slowly making a name on its own. Travelling to Iloilo and Bacolod is never complete without adding Guimaras on the itinerary. because of its famous white beaches. Located southeast of Panay and Northwest of Negros in the Visayas, offshore islets and right now it remains an off the beaten path tourist spot in the Philippines. Go to Ortiz Wharf. Boat fare is Php 40 (roundtrip). Please be reminded that the last trip is 7 pm. If the weather is not good, it is only until 6 pm. As per Camille she recommends Mango Research Center, Smallest Plaza, Alubihod beach and Pitstop Restaurant because they serve the best mango pizza in Guimaras. 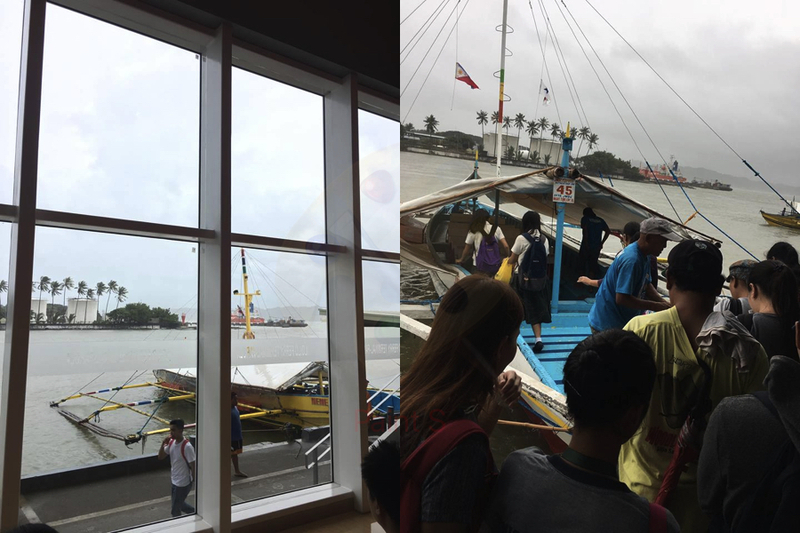 They arrived at 1 pm already and it is raining - that's the reason why they only saw few Guimaras tourist spots. Only 2 hours away from the world-famous Boracay island, Antique is going to blow you away. 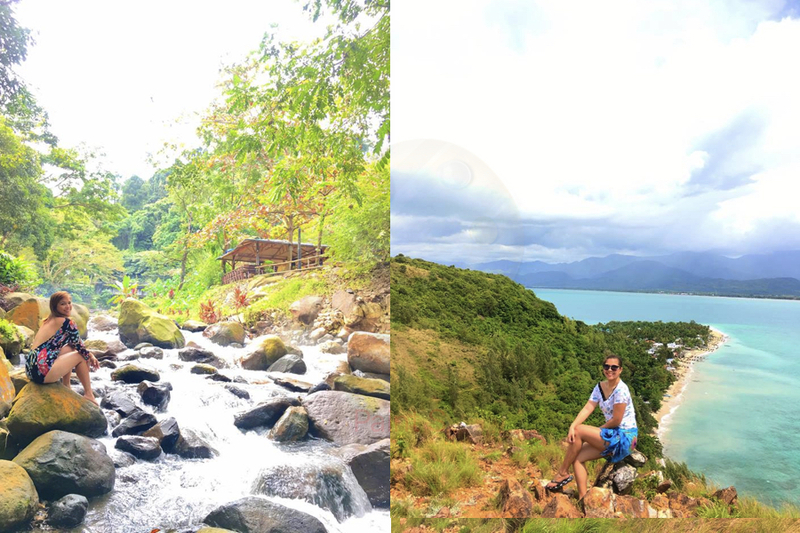 If you're looking for an off the beaten path kind of Philippine destination, you have to go here. Antique is a quaint place in the Visayas region. 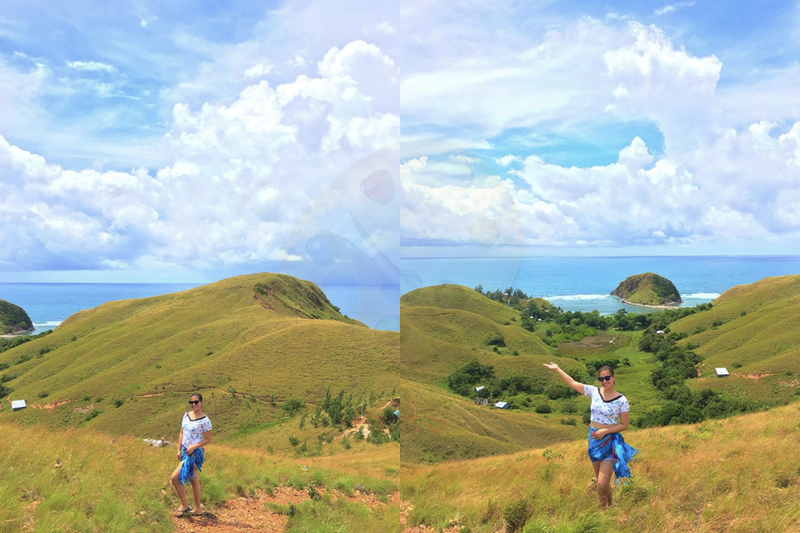 Of all the 41 Philippine provinces I have visited, I have to say Antique tops the list as a certified off - the - beaten - path location here which is very surprising because it is only around 2 - 3 hours by land from the world - famous Boracay. You'll surely be mesmerized by amphitheather-like rice paddies, wooden nipa houses, dusty roads and whether you like it or not unstable mobile signals. That digital detox you super hate, expect to experience it when you get here. Take a bus in Molo Terminal going to Culasi. 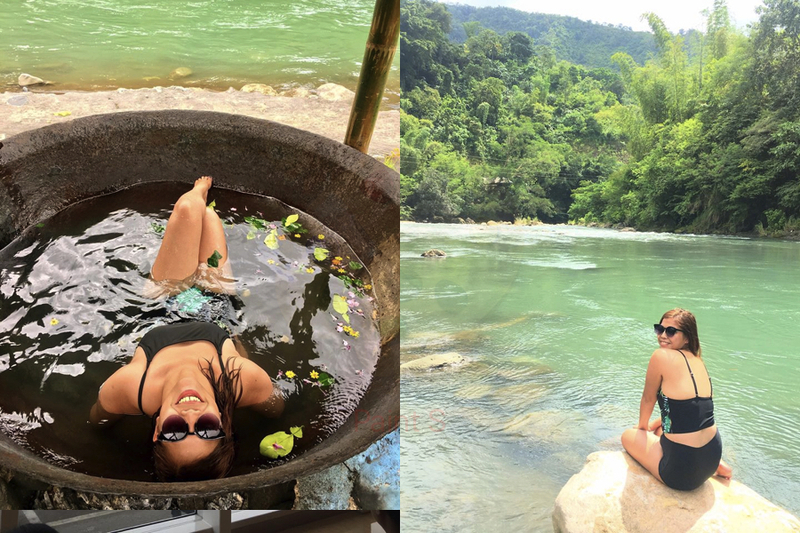 The town of Tibiao in Antique is famous for its kawa hot bath. It's soaking your half body from feet to shoulders under a lukewarm huge hot kawa or big pot. These pots are probably older than most of us. During the colonization period, the locals of Antique make molasses out of the sugar canes. Centuries have passed, they no longer do this kind of work but these pots have survived the test of time. A typical Kawa Hot Bath in Antique costs Php 200 that takes 1-3 hours. If you come during off season, you can stay there the whole day as long as no other guest comes to steal your spot! They also offer river tubing for Php 350. This kind of activity I only recommend to those who are up for something outdoor and would require much of energy. Of course, it could be dangerous when the flow of the river is unusually strong or as you know - any accidents can happen. Think of Boracay, 20 years ago. A white, powdery beach without huge crowd and big establishments! This is the Mararison Island in Culasi, Antique. There are many activities to do here: camping, boating around the island, swimming, hiking the mountains, star gazing, snorkeling, eating fresh seafood and sightseeing. Getting around Antique is easier when you take a habal habal. Going roundtrip to a typical tourist destination costs only Php 70. From Culasi bus terminal, there are tricycles that can bring you to the port to Mararison. You need to drop by at the Department of Tourism office in Culasi port where you will pay Php 30 for the environment fee. Back to Iloilo. This time, I would suggest a different kind of tour which is the countryside. South Countryside Tour. 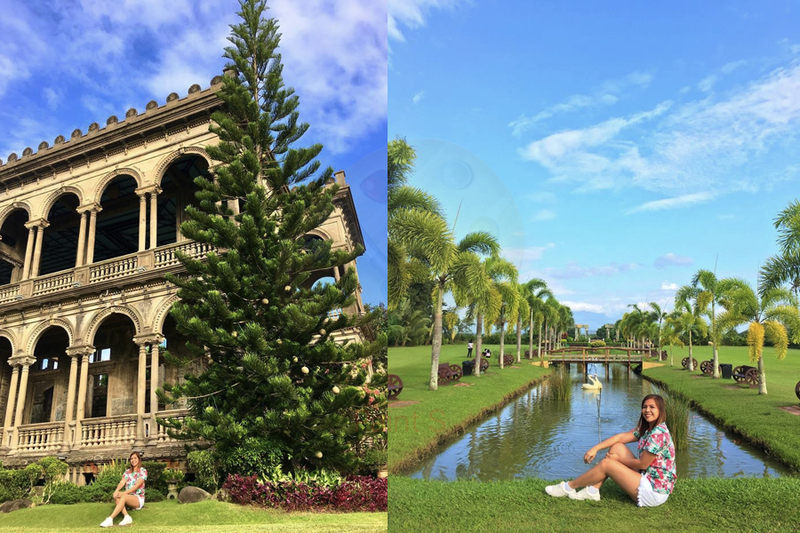 This will give you a scenic trip to Iloilo's southern countryside passing by the flower gardens of Villa Arevalo, the historic towns of Oton, Tigbauan, Guimbal, all the way to Miag-ao. You can say a prayer at Tigbauan Church which is a Latin-American Churrigueresque style, drop by in Guimbal's yellow sandstone church and plaza. Last but not the least is Miag-ao Fortress Church built in 1706 with a unique facade of botanical motif reminiscent of Aztec art. 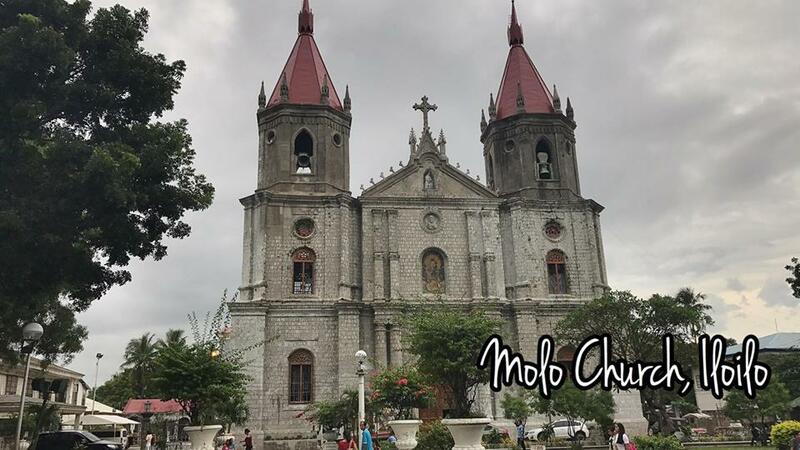 Miag-ao Church in Iloilo is a UNESCO world heritage treasure. From Iloilo, the easiest way to reach Bacolod is via ferry or "roro" that costs Php 500 roundtrip. She and her buddies rented a car using a waze to get around. 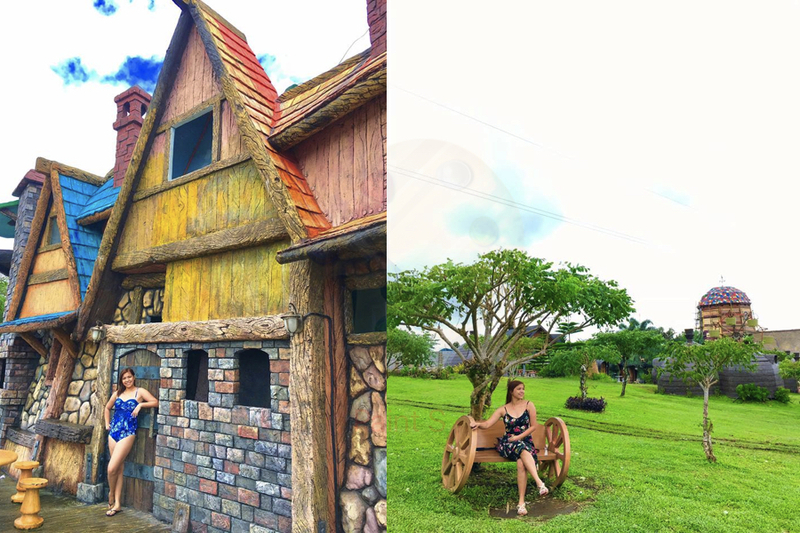 Camille's Bacolod tour includes Campuestohan Highland Resort (Php 150 entrance fee) with unlimited "aurahan", The Ruins (Php 100 entrance fee), Bong Bong's Pasalubong (best - sellers are piaya and barquillos), Mambukal Resort - Php 1, 200 for overnight stay which is cheaper than Campuestohan Highland Resort. We know not everyone has the luxury to plan their trips and do it DIY. 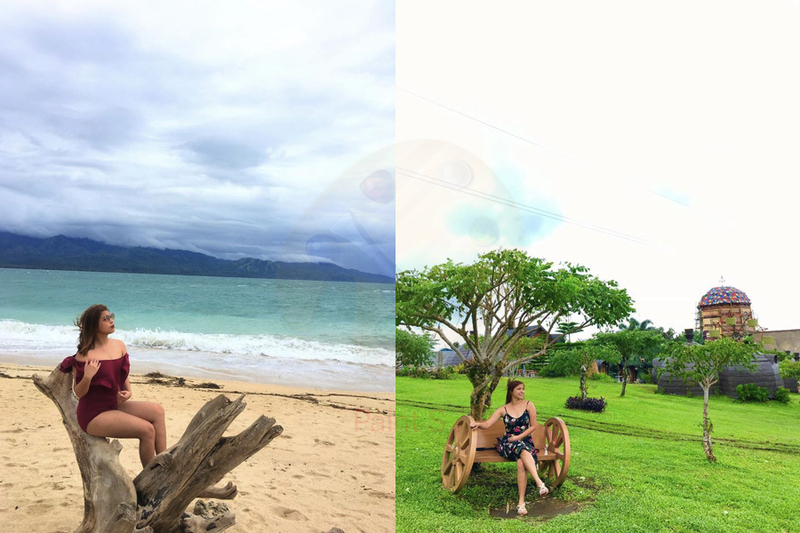 For those looking for a tour package to Iloilo, Bacolod, Antique and Guimaras, we have a partner accredited travel agency that offers a very affordable rate for you. Send me a message via mariaronab@gmail.com so I can hook you up to them. she also wrote DIY ITINERARY & TRAVEL GUIDE TO CAGBALETE ISLAND. you can click here to read it. Note: This is an outsourced travel guide from a fellow backpacker, Camille Bean Mendoza-Vergara. We give all credits to the photos (except the one from Jem and mine) and all the valuable information she shared to us. You can click HERE to follow her on Instagram. We have not done any heavy editing to what she posted to maintain the style of her travel post. Thus, this is not a comprehensive travel guide but more of a place to share travel experiences, photos and in between.